Our product is available in nontoxic and industrial-grade packaging materials that ensure the products are safe from damage and reach buyers in brand new conditions. From Pune(India), we are providing a lot of products having quality and cost-effective prices. 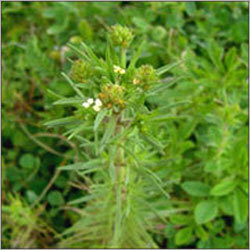 Laxative : Psyllium husk (Plantago ovata) is generally treated as laxative in the world market. Laxative are food additives, which stimulate the bowel movement and facilitates excretory action in case of constipation. The swelling up of intestine due to bulk-forming laxative soften and increase the volume of the stools. This then encourages the bowel move and pushes the stool out. Weight Control : Psyllium mucilage absorbs water and expands substantially. In the stomach, Psyllium expansion produces feeling of fullness. This causes a decrease in food intake. Psyllium has no harmful chemical side effects; it is just a herb that is loaded with beneficial soluble fibre. Diarrhea : Psyllium used as a bulk-forming agent to help relive mild to moderate diarrhea. Psyllium soks a significant amount of water in the digestive tract circumstances, slower to pass. Hemorrhoids : Psyllium may be recommended by a physician to help soften stool and reduce the pain associated with hemorrhoids. High Chloesterol : Psyllium husk have a cholesterol-lowering effect when added to a low-fat, low-chloesterol dite. Studies have shown psyllium to be quite effective in lowering levels, which can be helpful to those with high cholesterol (hypercholesterolemia) and those at increased risk for developing hypercholesterolemia. Diabetes : Studies suggest that a high-fiber diet, which may include psyllium, blood sugar levels and improve cholesterol and triglyceride levels in people with diabetes.